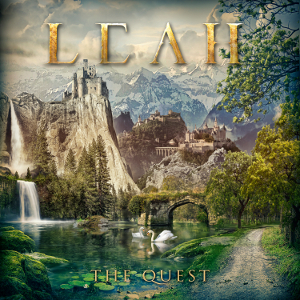 LEAH is Celtic metal songstress from the rugged coast of British Columbia, Canada, and has been making waves across the globe. 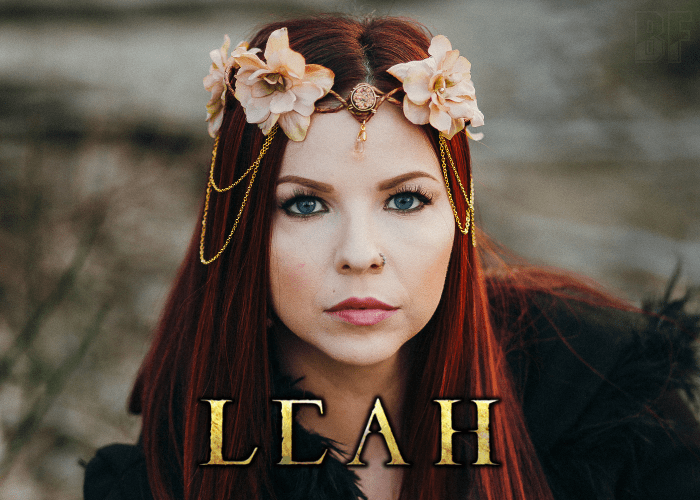 From ethereal ballads to folk-tales, mysterious world instrumentation and operatic blast beats, LEAH’s voice is a breath of fresh air among a sea of female-fronted rock. LEAH released three albums and several singles and EPs. Her debut self-released album "Of Earth & Angels" received international critical acclaim, landing her on "The Best Symphonic Metal Album" Metalstorm Awards for 2012. The latest album “The Quest” was just released on October 5th through Inner Wound Recordings as same as the previous release. The concept for this album is very simple but is combined with traditional Symphonic Metal elements with a strong Celtic & Fantasy connection, some prog rock elements, and ethereal ambiance. LEAH has a wide range connection in musical industry, and many musicians from around the world have been featured on her releases. The new album is a full-scale international effort by 9 individuals, such as Troy Donockley (Nightwish) on Celtic pipes & flutes, Barend Courbois (Blind Guardian) on bass, Timo Somers (Delain) on lead and rhythm guitars, Sander Zoer (ex-Delain) on Drums, and Chen Balbus (Orphaned Land) on the Saz and Oud. Also it was produced by Oliver Philipps (Phantasma, Everon), mixed and mastered by Jacob Hansen (Volbeat, Amaranthe, Evergrey) and all the artwork for this album was created by the talented Jan Yrlund. Perfect for fans of metal, fantasy and RPG (role-playing game).